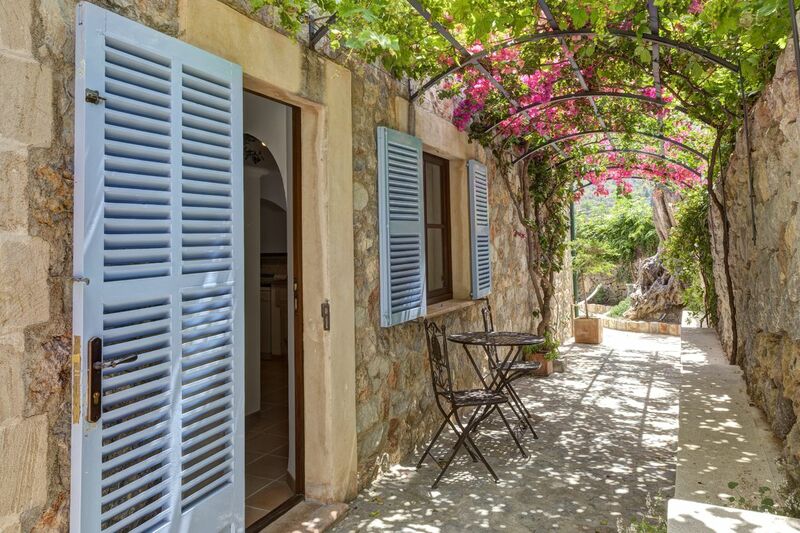 Walking into Deia and down to the beach were the biggest plus points of this charming house which has so much character. 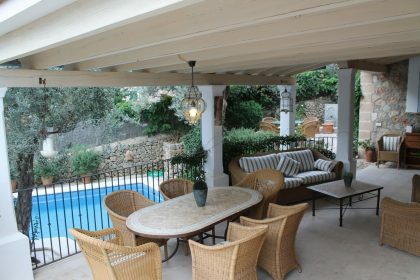 Dining area and seating around large open fire. 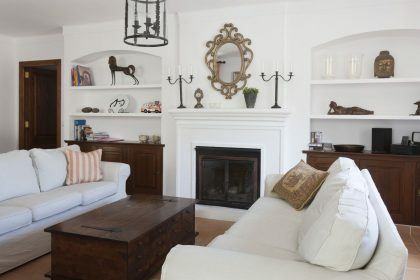 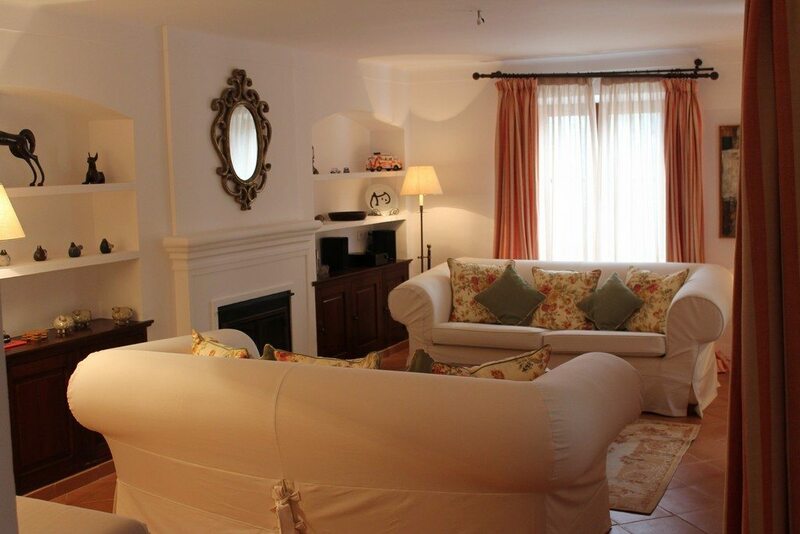 Large sitting room with comfy sofas and open fire leading out to terrace garden and pool. 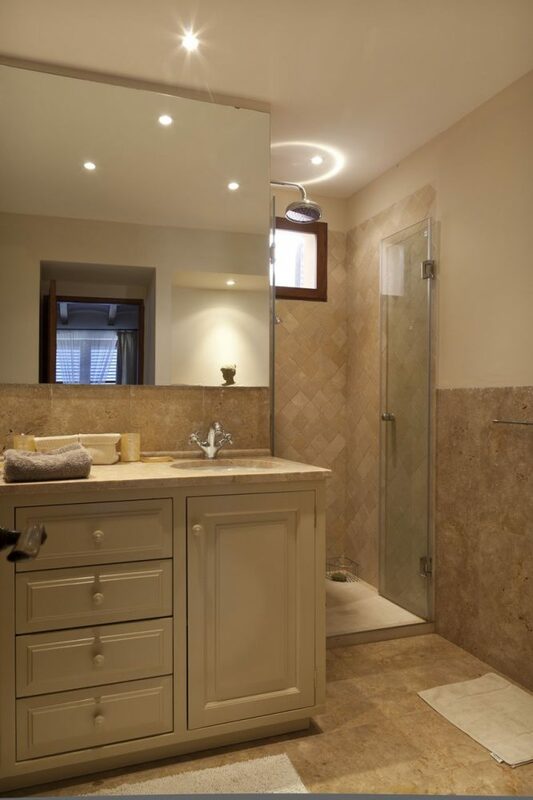 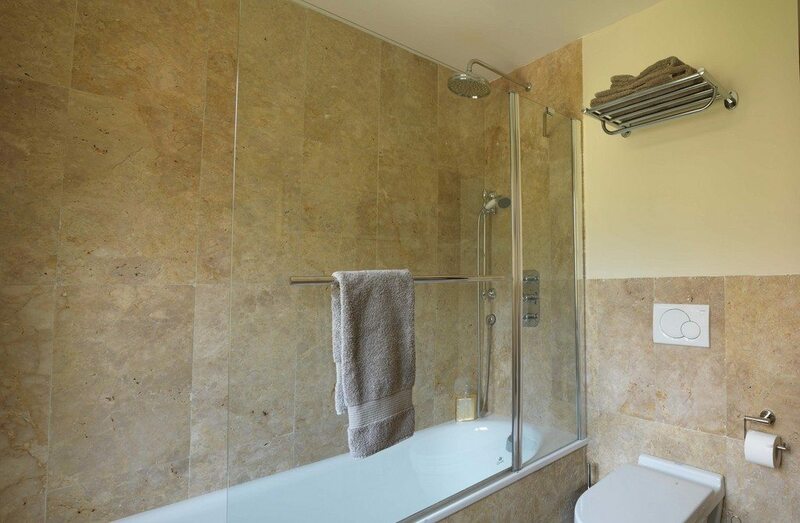 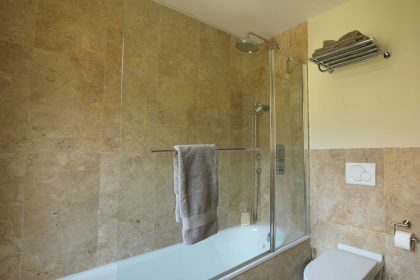 Downstairs shower room leading out to pool. 2 separate outside dining areas with comfortable seating for 6. 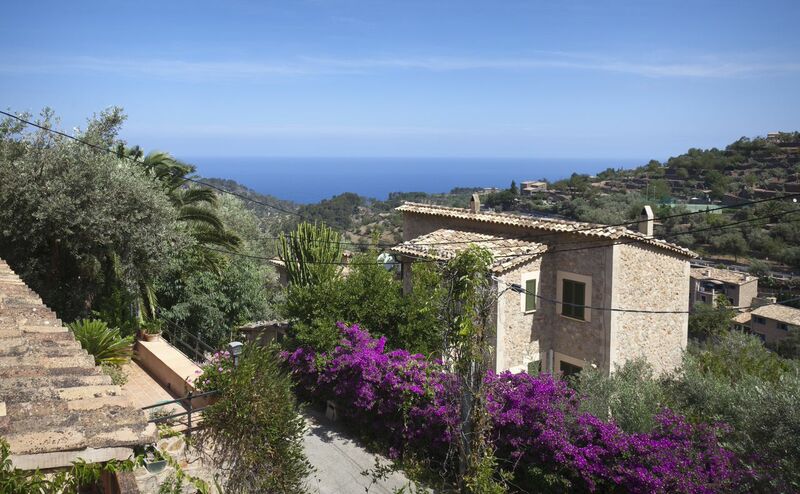 The gardens at the front look out across Deia and the sea and set in a lovely cobbled courtyard. 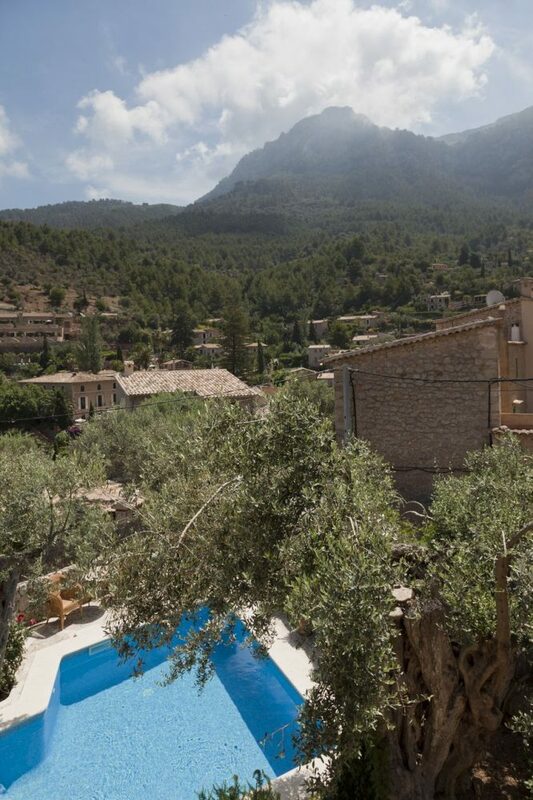 Car Hire recommended but not essential. 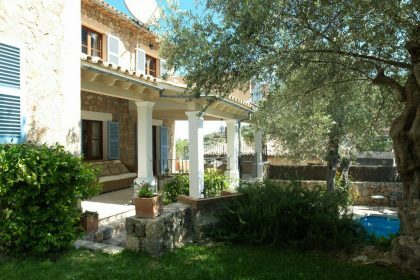 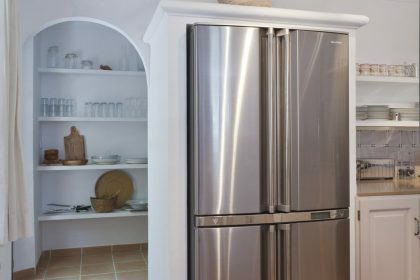 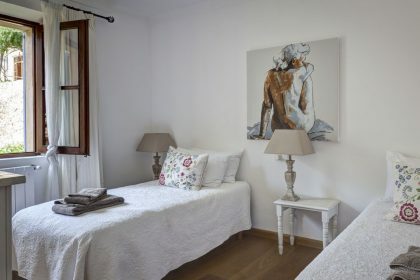 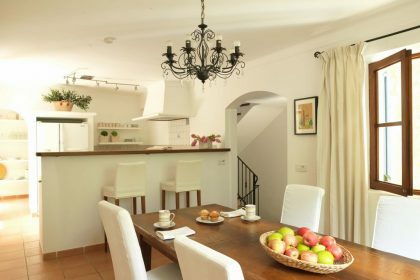 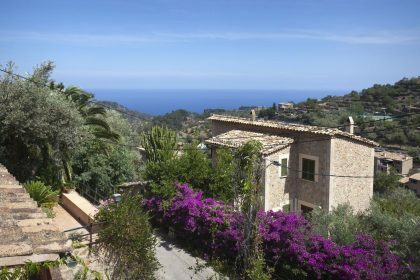 We had a real hunch that our clients would love Deia and all the lovely village houses so near to the sea and such chic restaurants and following our visit to this house we confirmed our vision! 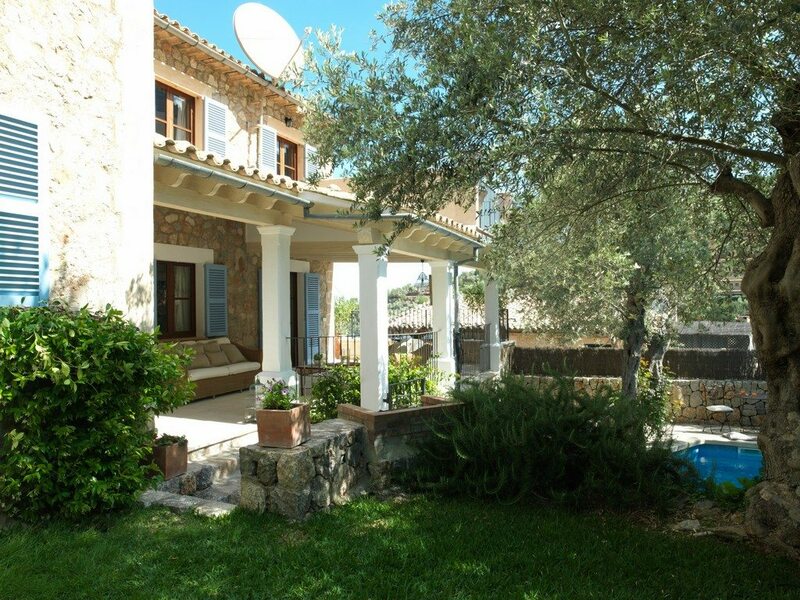 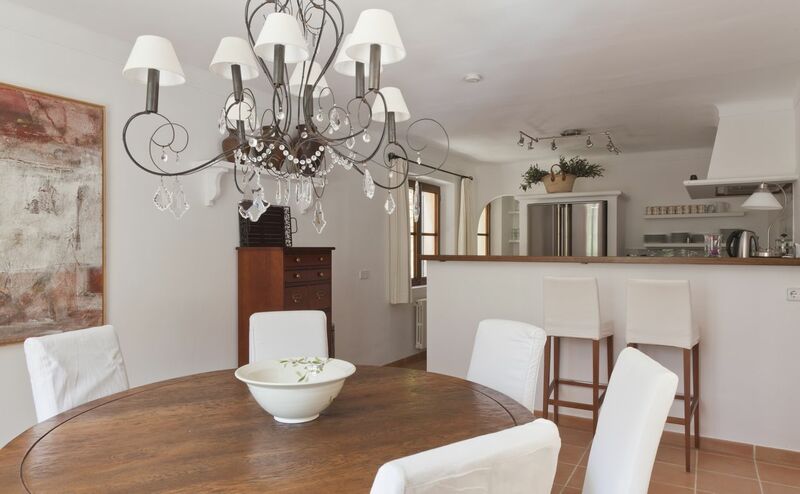 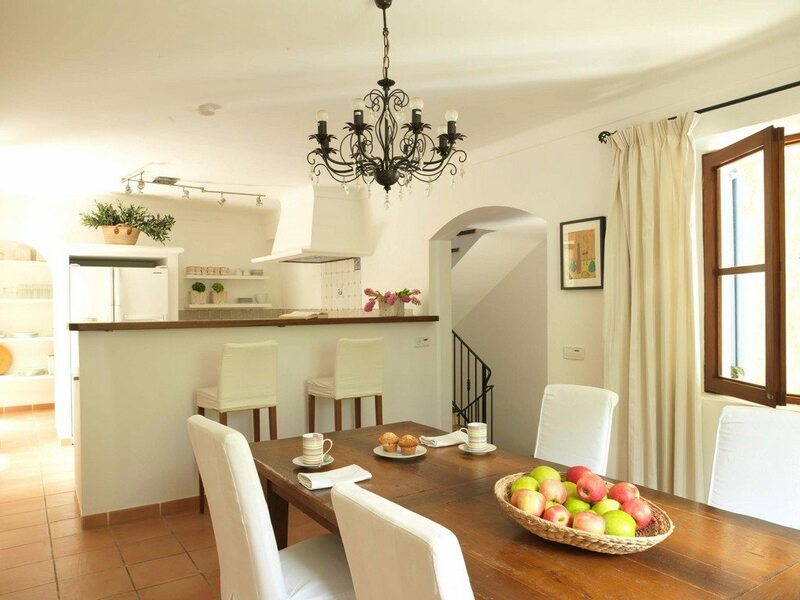 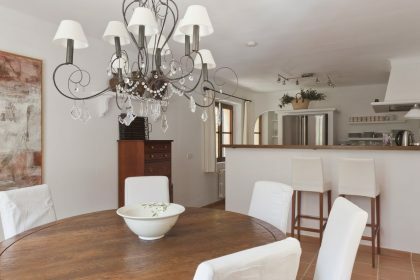 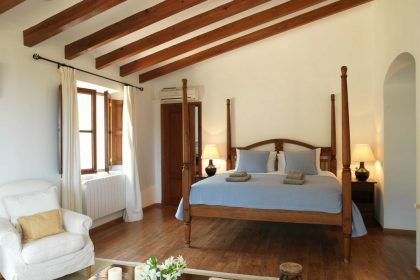 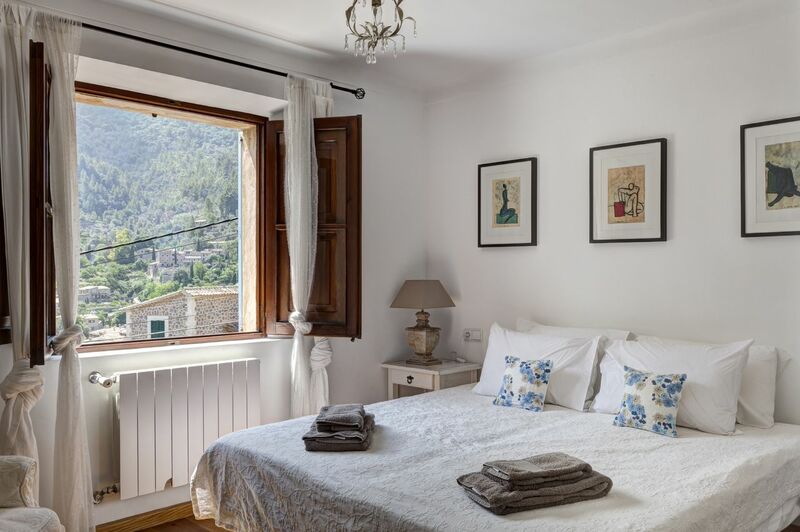 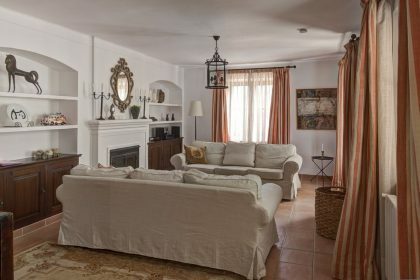 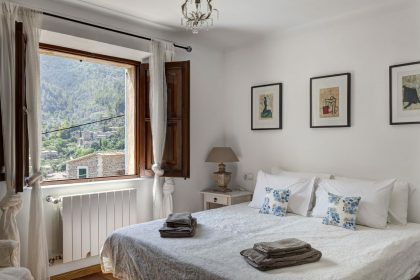 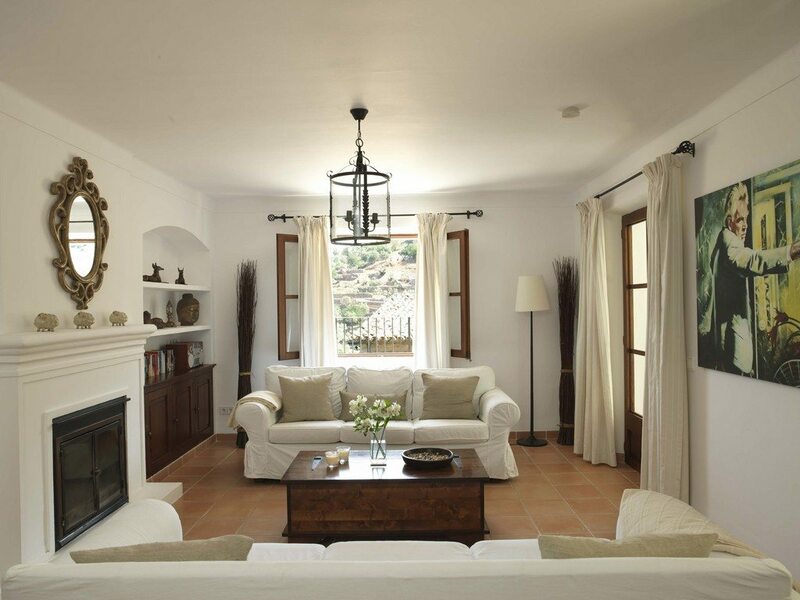 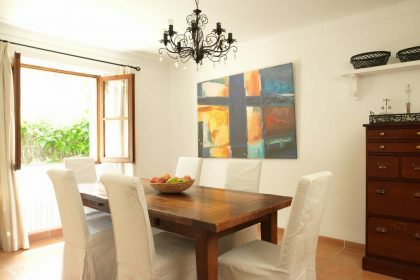 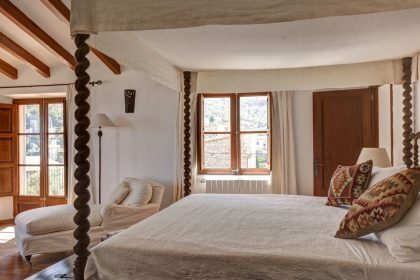 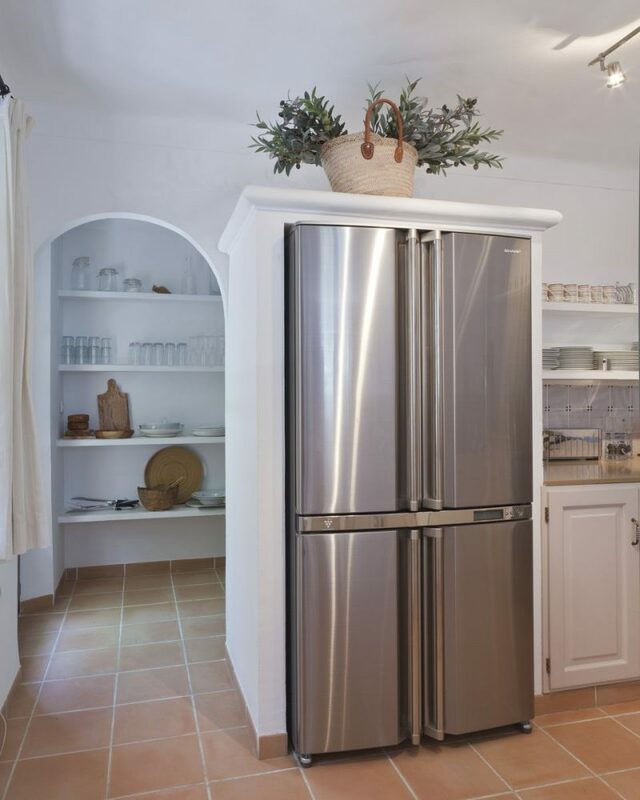 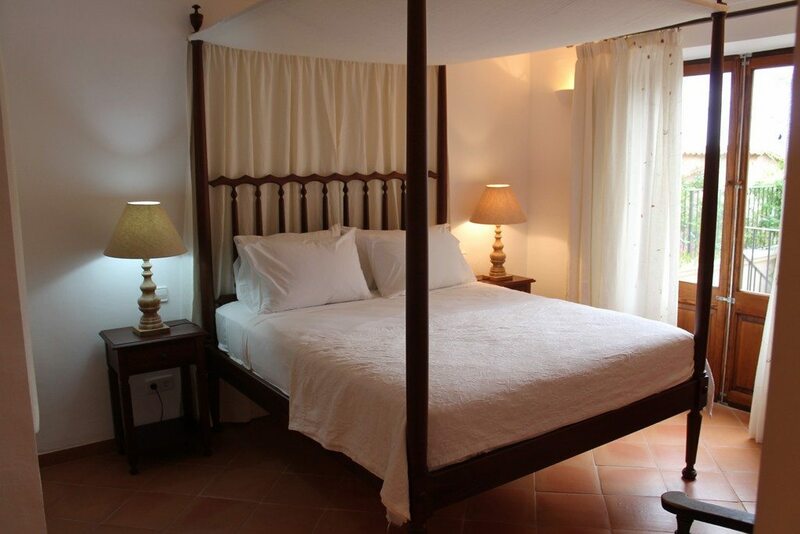 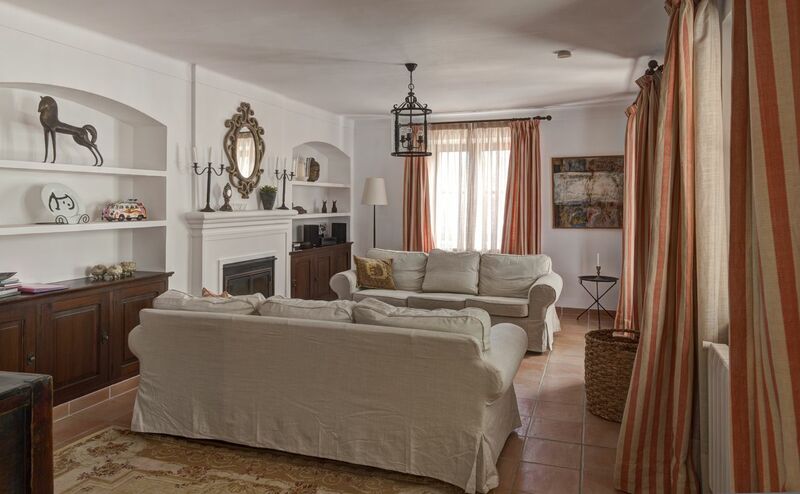 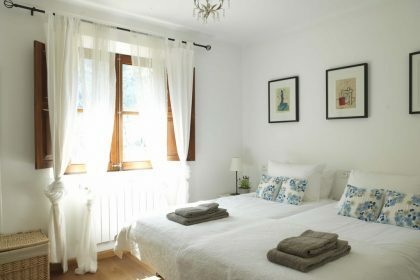 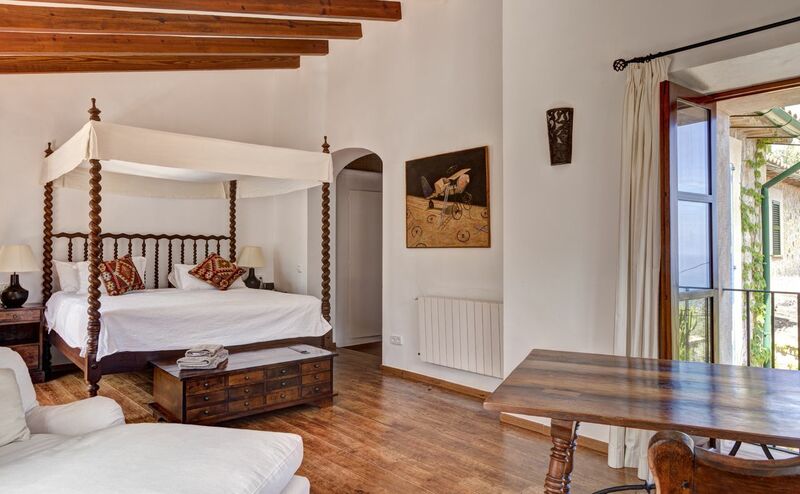 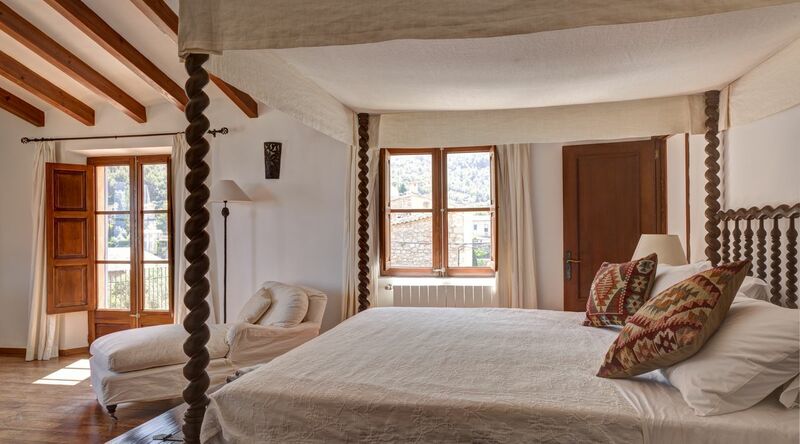 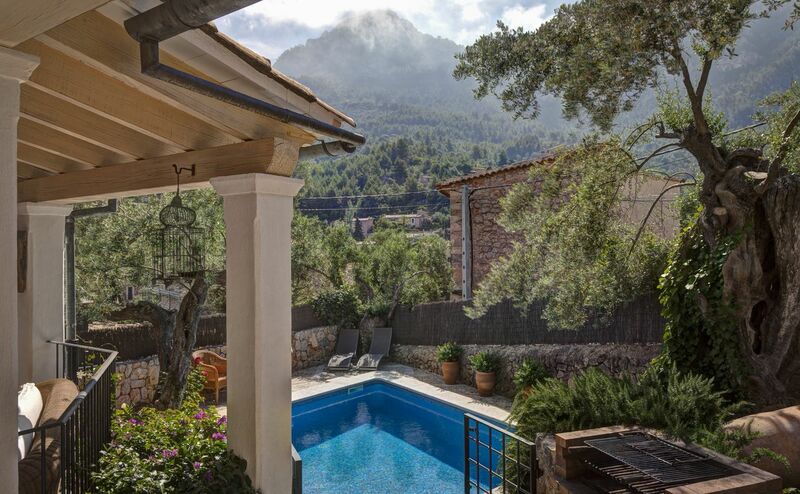 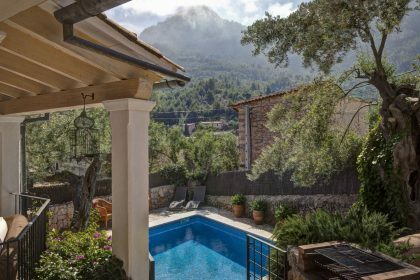 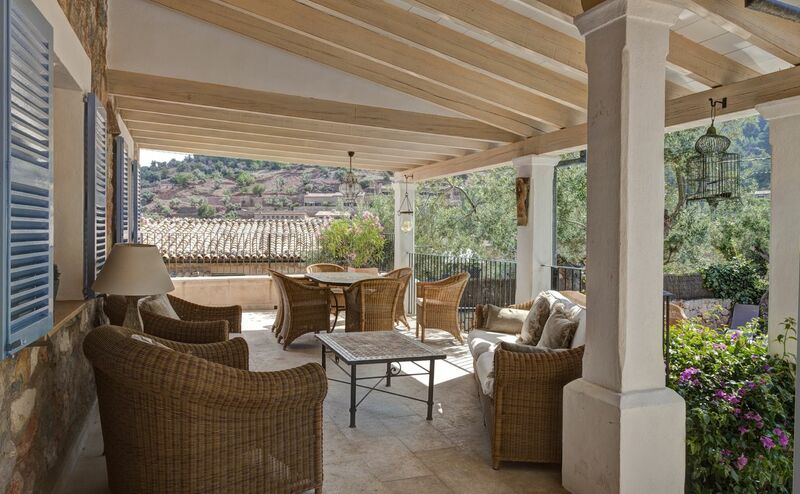 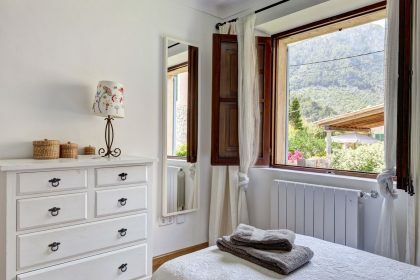 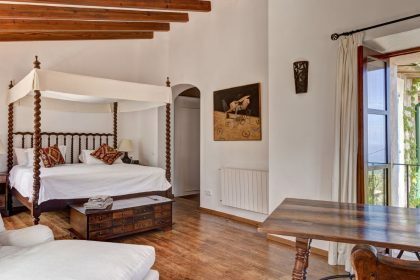 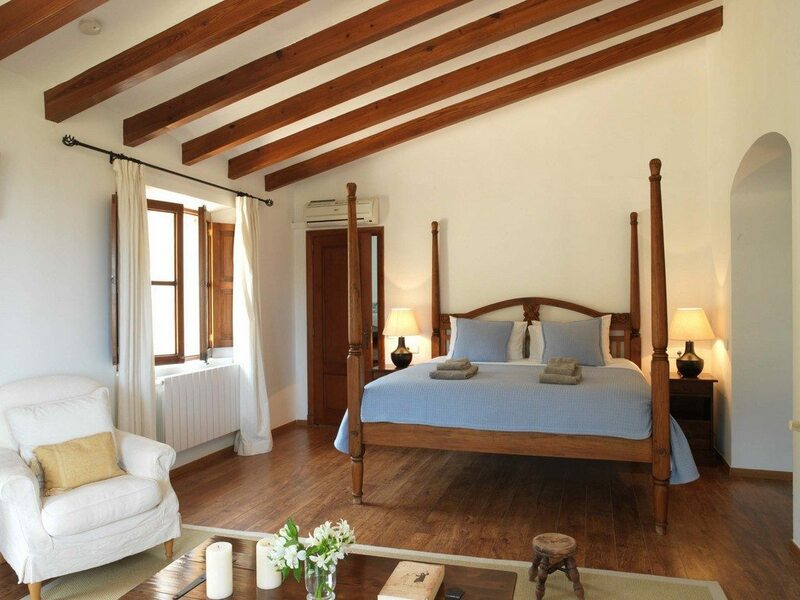 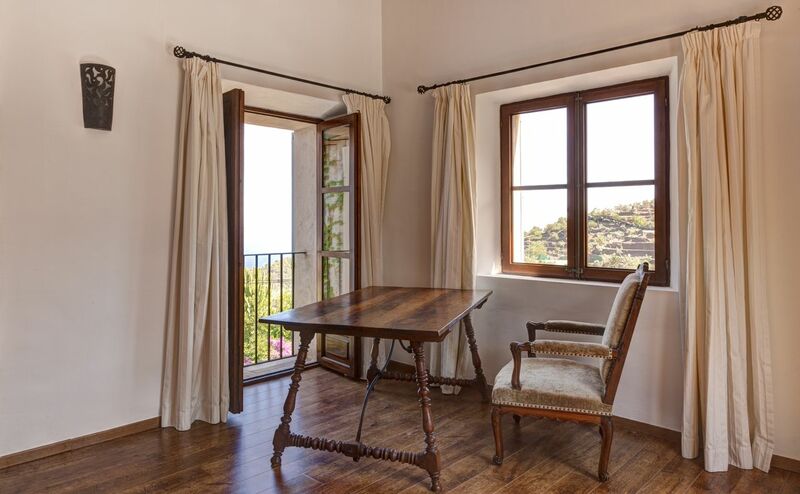 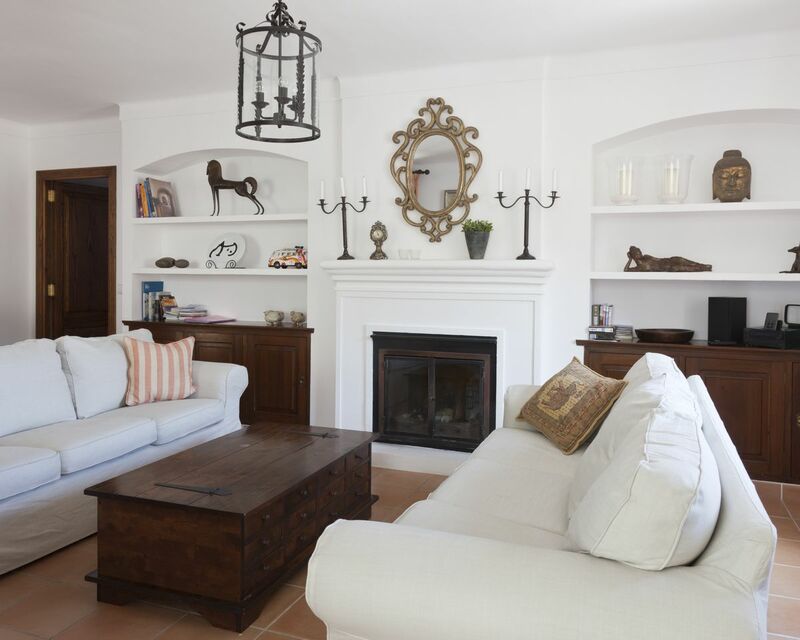 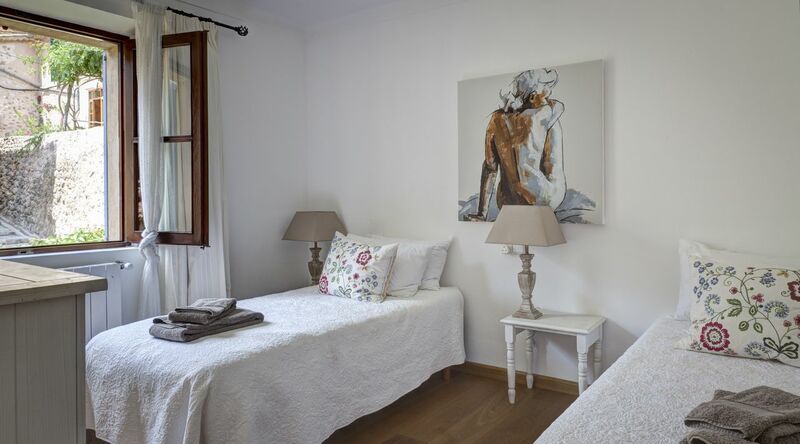 Just a short wander up the hill from the main street in Deia is this delightful villa house. 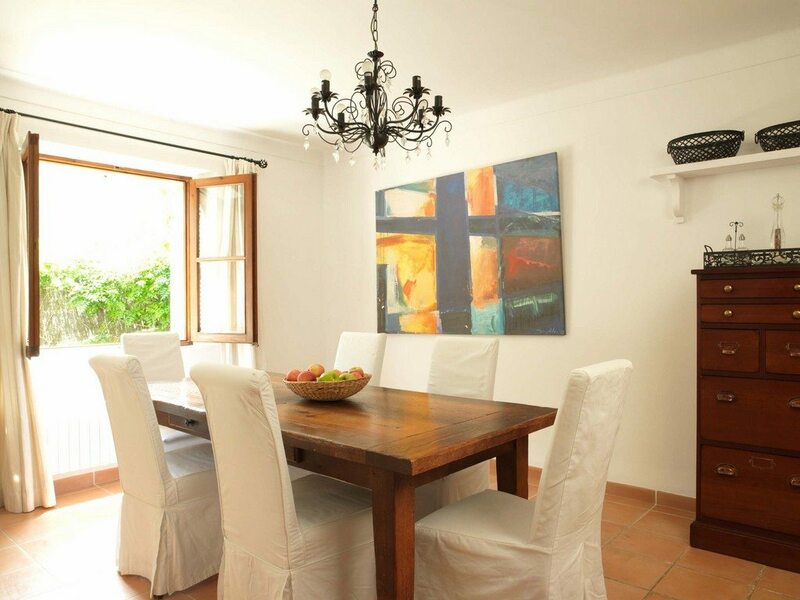 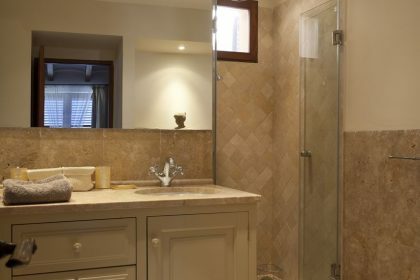 It is a super comfortable and really elegant house owned by an award winning architect and it really shows. 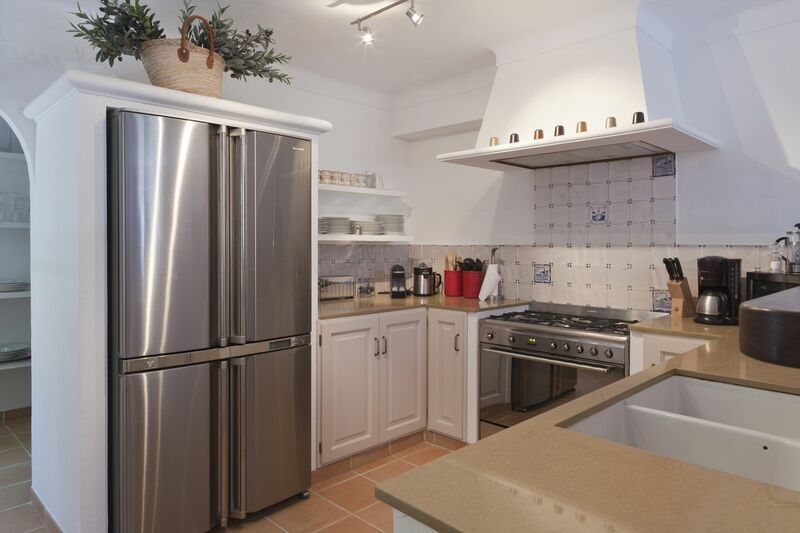 There is everything you could possibly want in the kitchen and the most fabulous fireplace seating area that has been very cleverly designed. 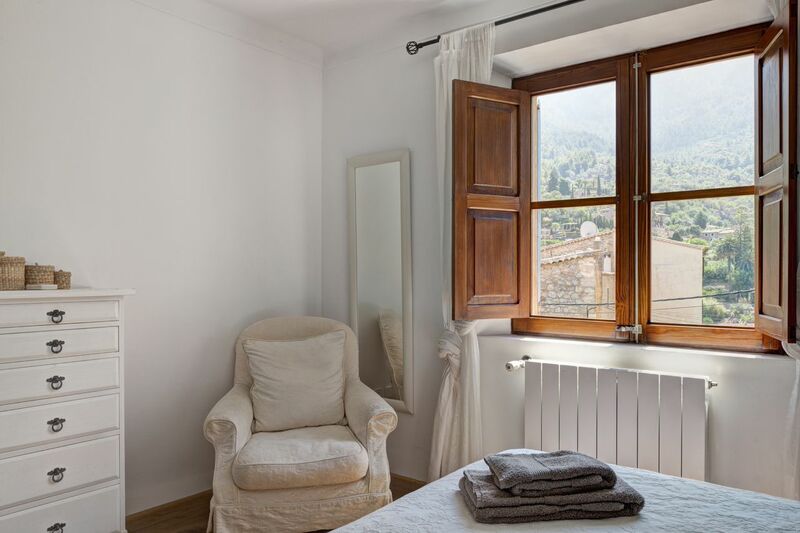 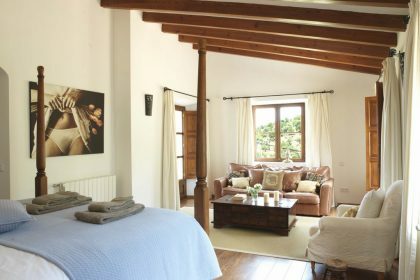 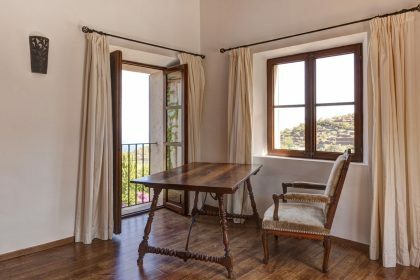 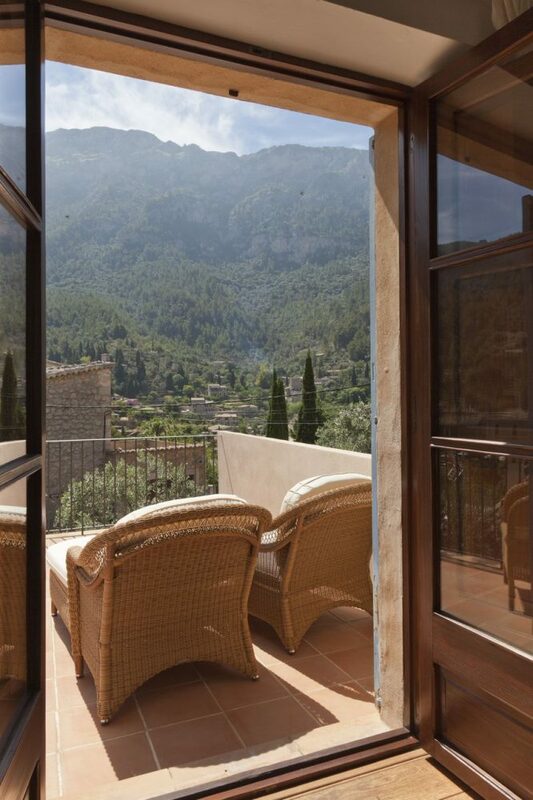 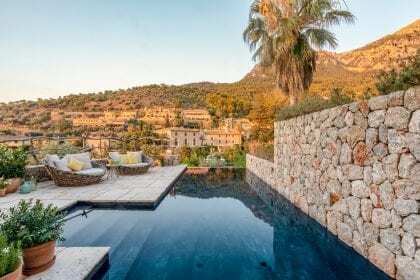 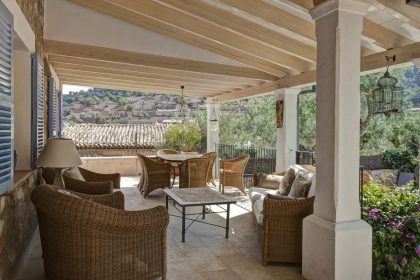 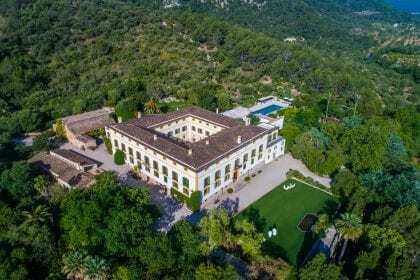 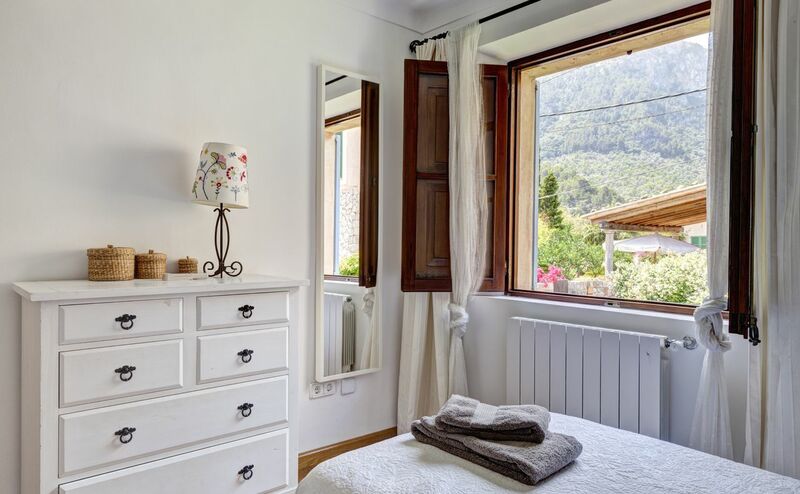 The views are fabulous from every window as the house sits proud above the roofs of the village and you across the top of the La Residencia Hotel which is just a little further down the land. 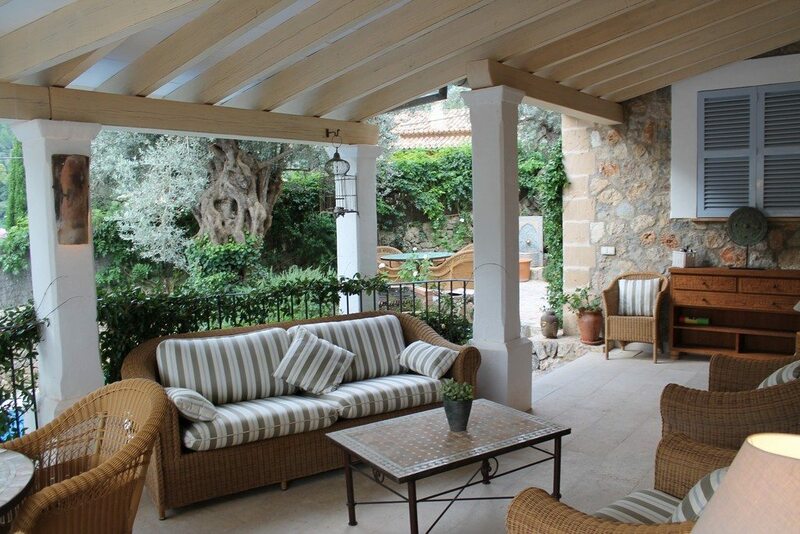 The garden is very established and private filled with bougainvillea, palms, dripping fruit trees and endless flowers. 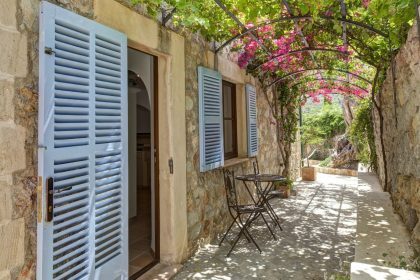 With some lovely places to sit in the shade you will laze away the days before heading down to Deia beach for a late Paella lunch or out to do some fine dining in the evenings in all the various venues around this glorious little village. 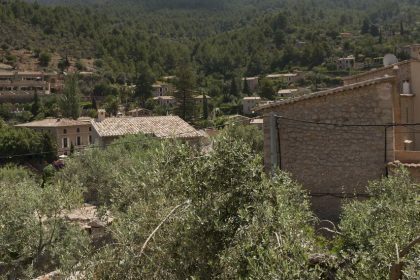 A must for anyone who loves the very special village of Deia and all it has to offer.